run, walk or bike the course. Strollers are welcomed. 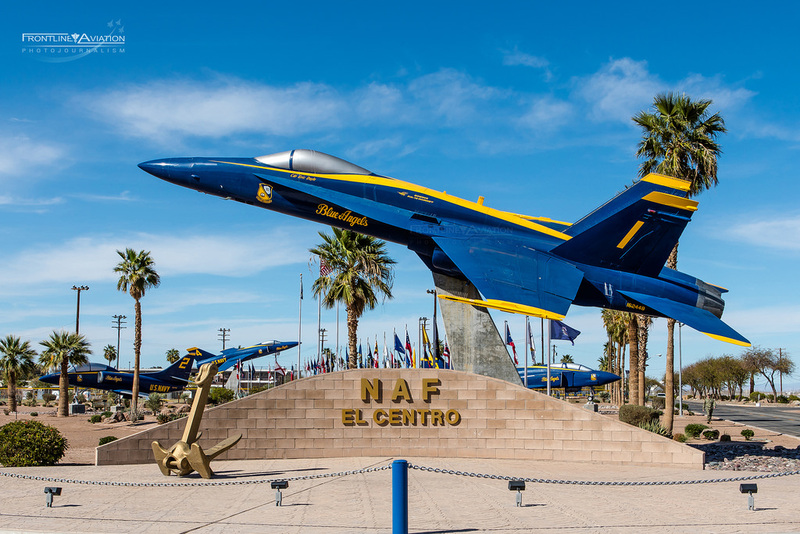 Party located at NAF El Centro Blue Angels Park. The race begins at 8 am at Sunbeam Lake, on Sunbeam Lake Rd. 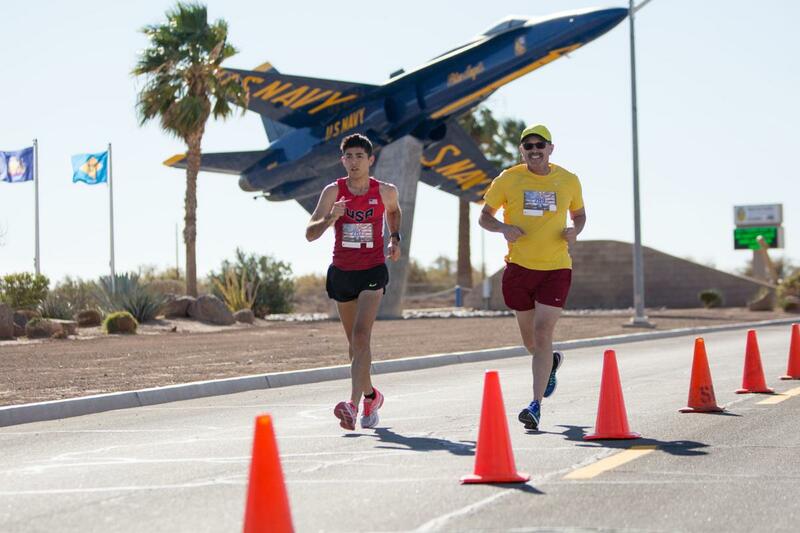 The race ends at the Naval Air Facility El Centro’s Blue Angels Park. An ample supply of water is available at the start and finish lines. Additional water stations will be set up between markers 2 and 3. It is your responsibility to remain sufficiently hydrated throughout the race. 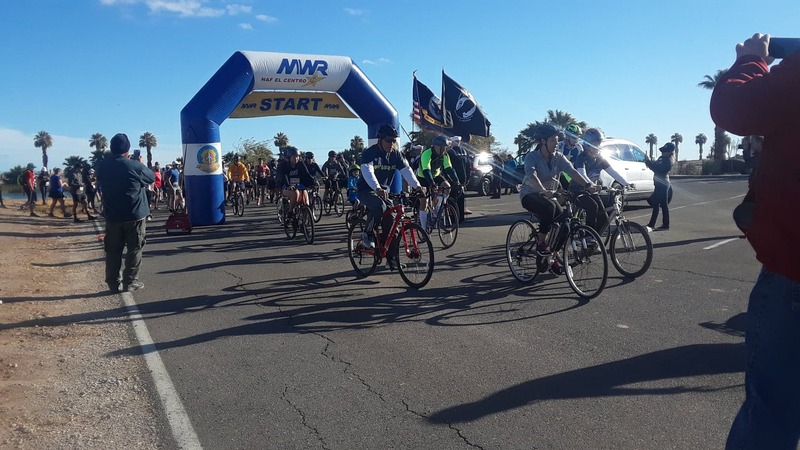 All participants riding bicycles must wear appropriate protective gear (helmet). 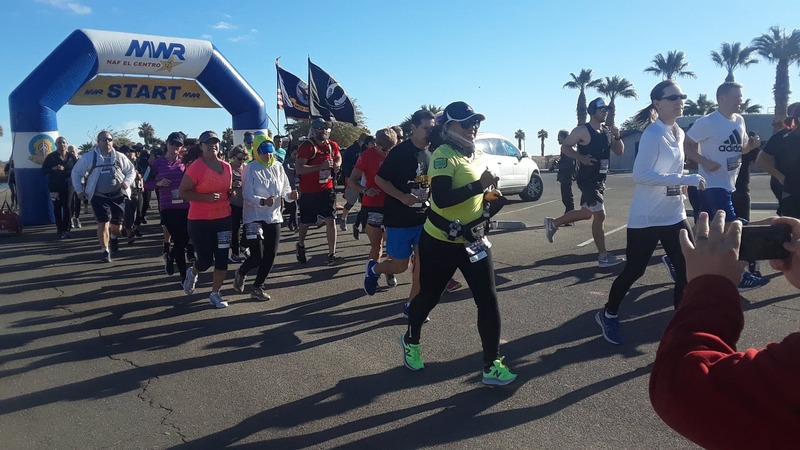 Participant bib number must be picked up on Friday, February 22, 2019 11am-6 pm at VONS, located in El Centro CA or at the Bib Pick-Up booth on the day of the event from 6:30-7:30 am. A bib is required to participate in the event. 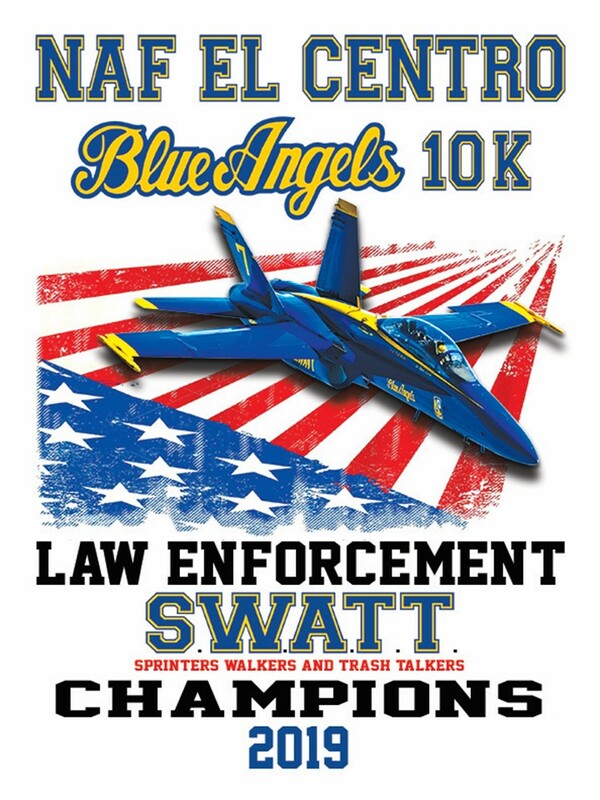 Bib is also required to pick up event t-shirt and participation medal. 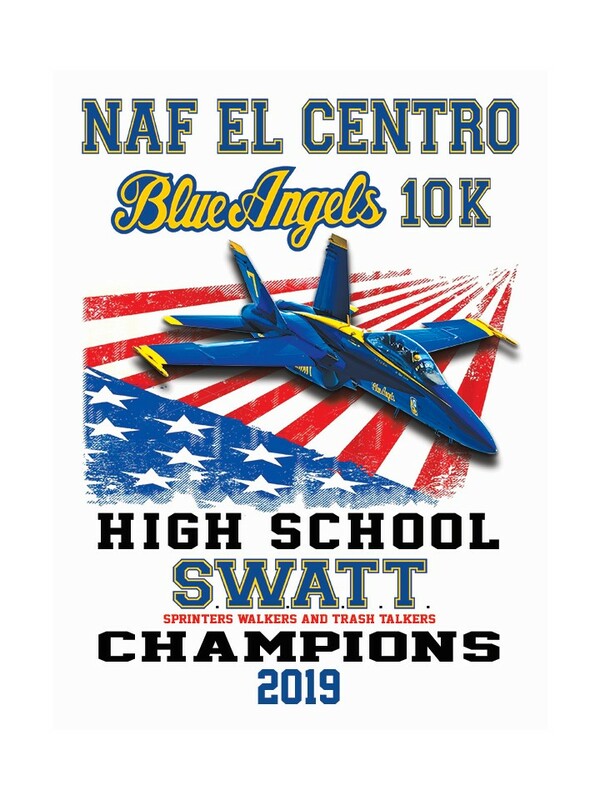 Active duty and authorized MWR patrons can pick up their bib number at the NAF El Centro Fitness Center, Bldg. 327, on Friday, February 22 from 10 am-5 pm. You may check in your warm-ups at the start line near registration. Clearly mark the bag with your bib number. Do not pack valuables. MWR is not responsible for lost items. Bags may be claimed at the finish line by showing your bib number at the Runner’s Gear Pick-Up booth. T-SHIRTS & MEDALS 9th Annual Blue Angels 10K Fun Run commemorative t-shirts and participant medals are distributed at the finish line. You must present your bib to claim your t-shirt and medal. Additional t-shirts will be available for purchase. Eastbound: Take the I-8 East to exit 107 towards Seeley, make a left on Drew Road followed by a right onto Sunbeam Lake Road. Westbound: Take the I-8 West to exit 107 towards Seeley, make a right on Drew Road followed by a right onto Sunbeam Lake Road. Please plan ahead and arrive early! Parking is FREE! 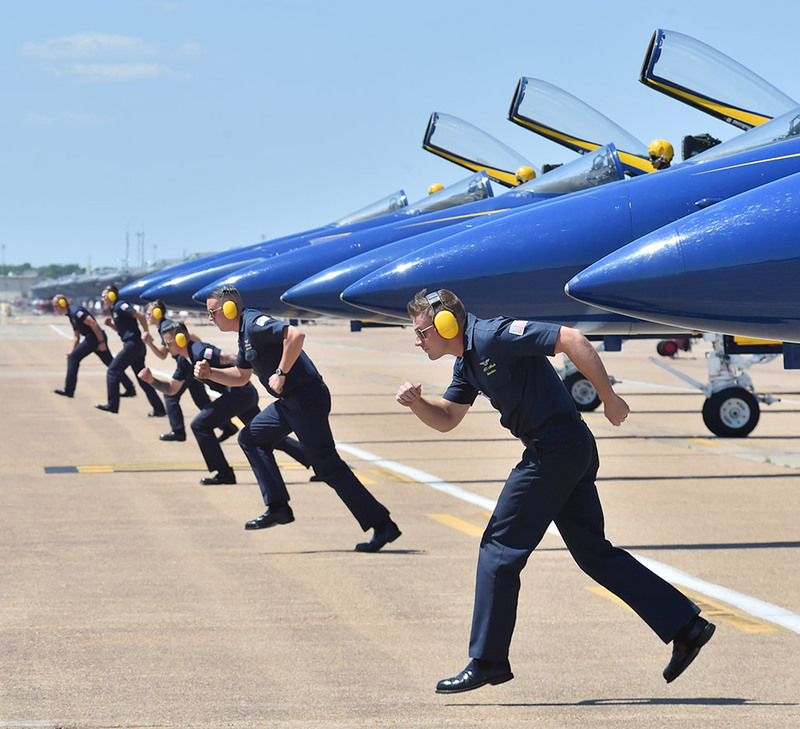 Parking attendants will be available to assist you. A free shuttle is available to transport participants, family and friends. Shuttle will be at the NAFEC front gate at 6 am and will run back and forth. The last shuttle departs at 7:30 am. Shuttle departs at 8:10 am from Sunbeam Lake to transport family and friends to the finish line. Shuttle is available for transport to the Sunbeam Lake parking area. Shuttle will run back and forth with the last shuttle departing at 11:45 am.